PVC conduit sizes 2" and larger tend to flatten or kink during the forming process. 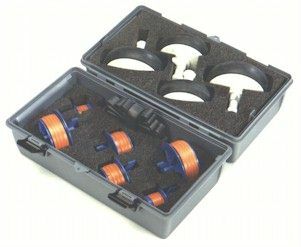 The EZ BEND® Bending Plug Kits eliminate this problem. 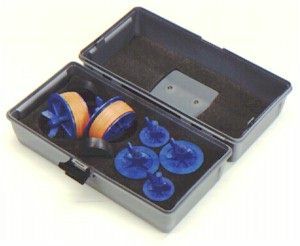 These time saving, hand tightened plugs are placed in each end of the conduit before heating. The trapped air expands during the heating cycle to support the pipe walls, and keep the conduit concentric while forming the bend. 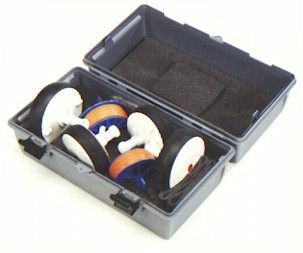 These Bending Plug Kits come in three styles, and are completely organized in rugged carrying cases. 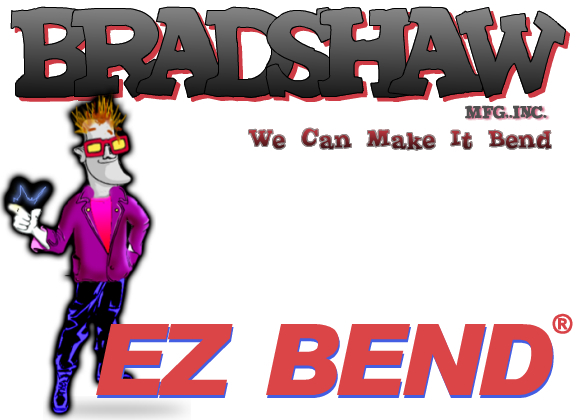 Small Conduit Sizes: Includes 3 pairs of plugs and adapters to fit all conduit sizes from 2" to 4"
Large Conduit Sizes: Includes 3 pairs of plugs and adapters to fit all conduit sizes from 4" to 6"
Copyright © 1989-2009 Bradshaw Mfg., Inc. / EZ BEND® is a registered trademark of Bradshaw Mfg., Inc. All Rights Reserved. Last Modified August 14, 2009 We accept VISA and MasterCard. Incoloy® is a registered trademark of the National Nickel Co.